Here is a quick and tasty dinner. There is quite a bit of delicate chopping but luckily my son is on hand to do most of it. This is a restaurant quality dish. The recipe follows the picture. Serve with rice and garnish with fennel fronds or cilantro. 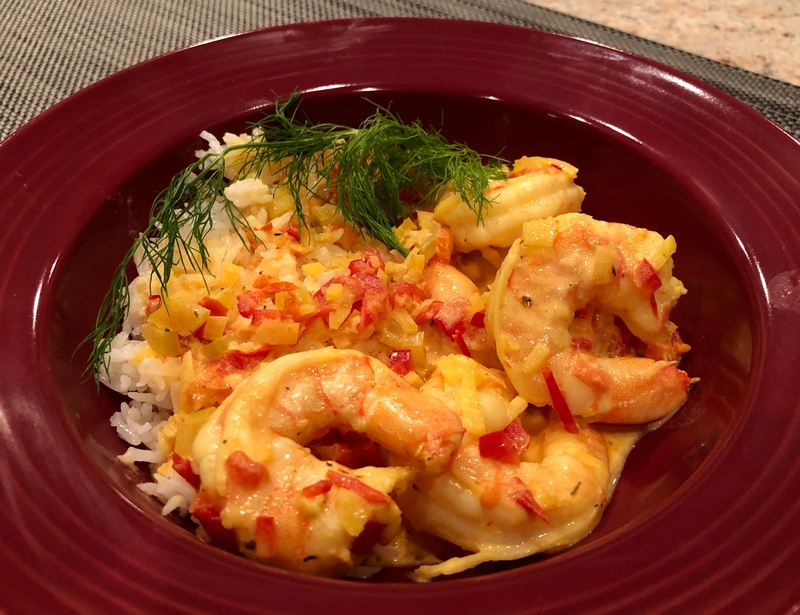 This entry was posted in French, Recipes, rice, Shellfish, Vegetables and tagged basmati rice, fennel, Pernod, shrimp, white wine. Bookmark the permalink.